A fragment of the skull of the Apostle Matthew is placed on display in a Greek Orthodox church in Cairo, on Thursday, for the first time in recent memory. The skull was displayed during celebrations of the Church’s 80th anniversary since its foundation. The Greek Orthodox Egyptian community in Egypt is made up of around 5000 members and their churches are similarly scarce, numbering at around 20, scattered across the country. According to its website, Saint Mark, the Evangelist and author of ‘The Gospel according to Mark’, arrived to Egypt in 43 AD and is the official founder of the Alexandria Church, attributing to its two thousand year history. The Greek Orthodox Church in Alexandria is also known as the Patriarchate of Alexandria and all Africa, also according to its website. Saint Matthew is considered to be one of the twelve Apostles of Jesus and one of the four Evangelists. He is also considered to be the author of the first Gospel. The upper half fragment, of what members claim is his skull, is just one of his many remains scattered around the world. His body is believed to rest in Italy. The service, which lasted around two hours, was led by Pope and Patriarch of Alexandria, Theodoros II, and several Christians were seen near the relic, whispering prayers for its blessings. 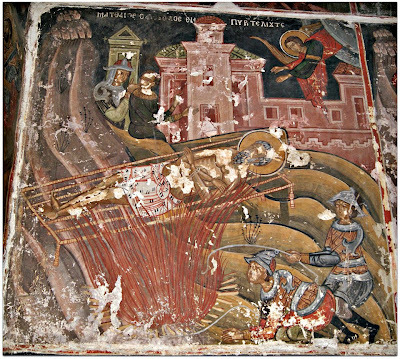 Theodoros told Reuters that Saint Matthew was killed in Ethiopia by the ‘non-believers’ of his time. His body was thrown in the street and his head was cut off. “This is a part of the skull belonging to a great Evangelist. 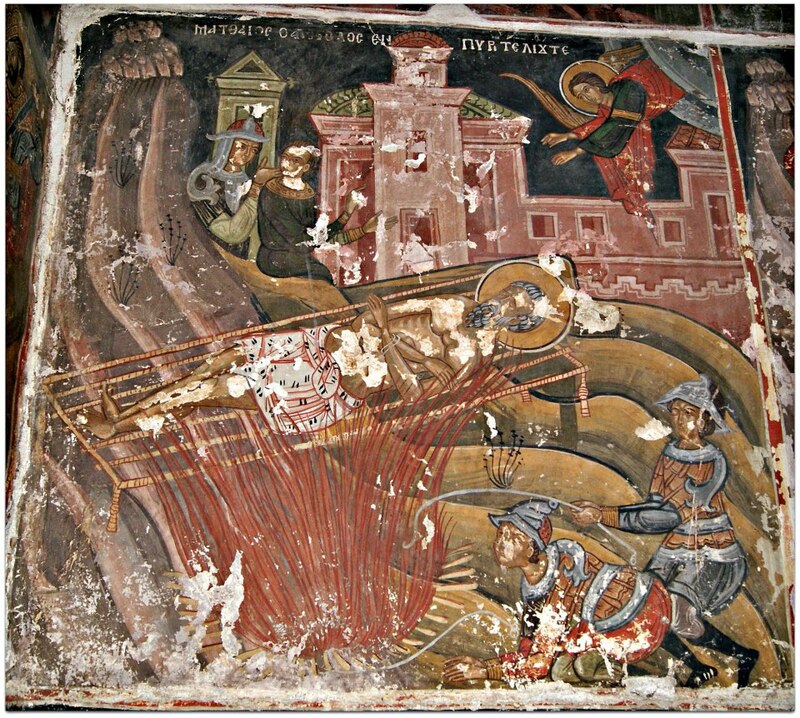 These fragments of the saint are considered a great blessing to us Orthodox Christians; which is why we place our hands on it as such, kiss it with our lips, light a flame, and take our blessings from it,” he said. He also claims the relic arrived in Egypt around 500 years ago as a gift from the Patriarch of Jerusalem to the Patriarch of Alexandria. “It's not the full head, just a fragment of the skull, which is known as relics of the saints. Saint Matthew is the first author of the gospel and the part of his skull here in Egypt is kept in an area called Hamzawy. On the occasion of the 80th anniversary of our church, it was brought here so we can take our blessings from it and it will remain here for five days before it's returned to it’s area, ‘Hamzawy’,” he said. The Church in Cairo was founded in 1931 and celebrations of the anniversary began on Wednesday and are set to continue for five days.